Downtown Boys have an anticipated album on the way (their first for Sub Pop), and they’ve got several upcoming tour dates, including a show at Brooklyn’s Northside Festival. Details on that show are finally here. They’re headlining Pitchfork‘s Northside showcase on June 9 at Saint Vitus, and it’s a cool lineup all around with Flesh World (members of Brilliant Colors and Limp Wrist), Field Agent (aka Deafheaven bassist Stephen Lee Clark), and a special guest TBA. Tickets go on sale Friday (4/14) at 10 AM, and you can also try to get in using a Northside badge (based on capacity). 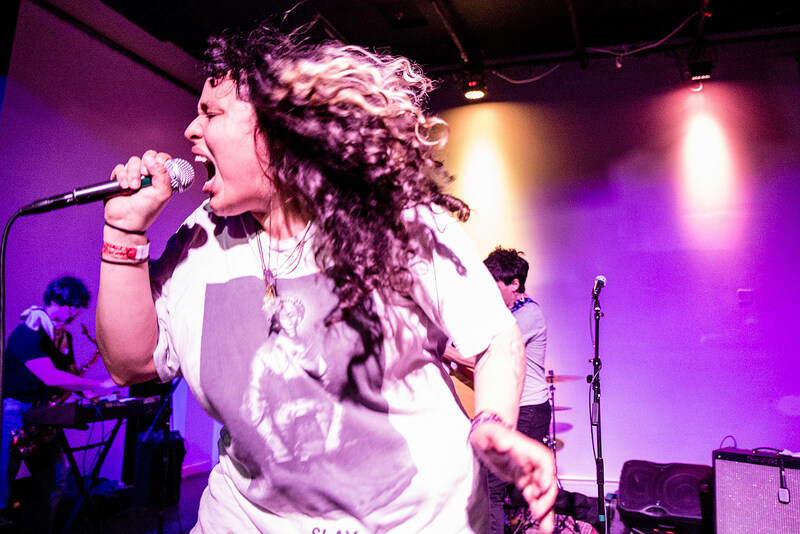 Downtown Boys are one of the many bands headed to Indio, California this weekend for Coachella. The festival’s set times were just announced — Downtown Boys play at 3:10 PM on Saturday on the Sonora Stage, overlapping with the last 15 minutes of Downtown Boys fan Mitski’s set. Several Coachella sets are streaming live (but Downtown Boys are not currently on the livestream list, which has been expanded to include 80 artists). The first taste of Downtown Boys’ upcoming album is the the great single “Somos Chulas (No Somos Pendejas).” Listen to that, and check out their updated list of tour dates, below. Speaking of Field Agent, you can also catch him in NYC this Saturday (4/15) at Sunnyvale with Street Sects, Planning for Burial and Psalm Zero. Tickets for that very cool bill are still available.